Are you looking for an affordable vehicle in the Charleston area? You have come to the right place! Hudson Nissan of Charleston, South Carolina has a wide selection of cars, trucks, and SUVs available at lower-than-market prices sure to fit within your budget. This includes our extensive collection of vehicles available under $20,000. 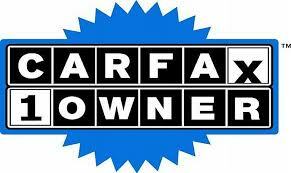 We are proud to offer our customers the comfort of previewing these vehicles here online. Use these convenient tools to calculate our low prices. If you are still undecided, you can visit our dealership to take your favorites for a test drive with our Hudson Nissan of Charleston experts. We are sure to help you find the perfect vehicle at a price that is right for you. We are located at 1714 Savannah Highway, Charleston, South Carolina 29407 and are easily accessible to drivers in Mount Pleasant, West Ashley, Rantowles, and beyond. Come and speak with our specialists about how we can help you find your next vehicle!